This is the cabinet I painted. I also bought that knob. It's a flower. 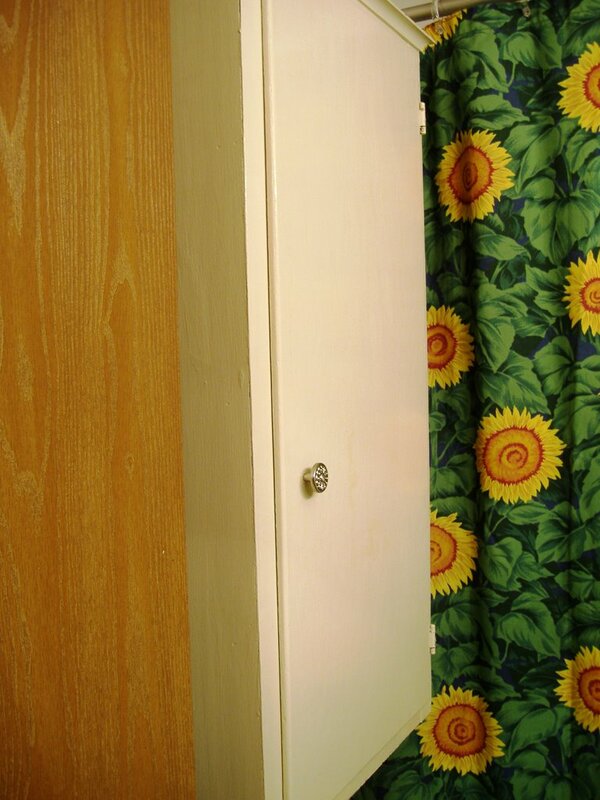 There is some kind of yellowish spot on the newly painted cabinet and I don't know what it is. It is NOT pretty and I can't get it off. Arg! 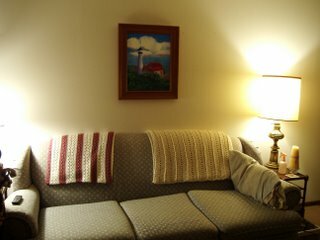 This is the framed painting over our sofa. It looks smaller than it appears in person. But I think it looks pretty good. 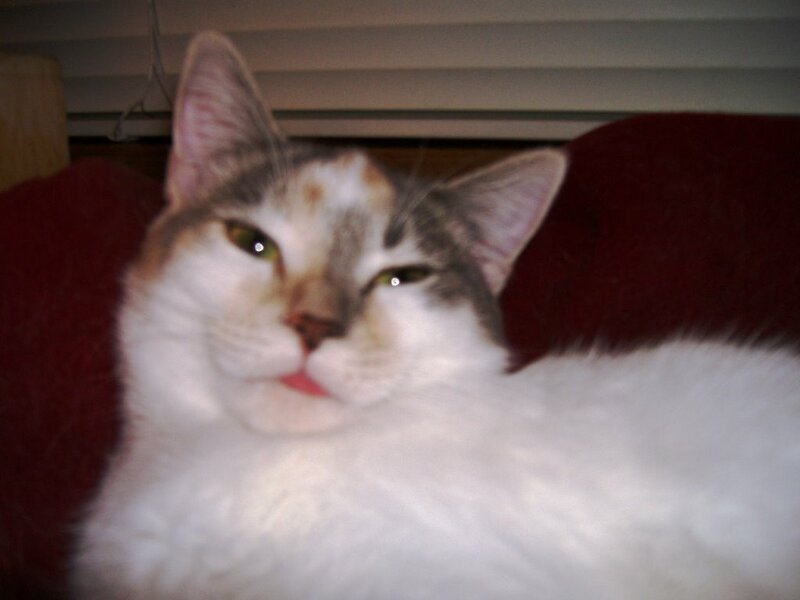 This is Zoe looking drunk. For some reason she is sticking her tongue out and I managed to capture a photo of her doing it. Ha! 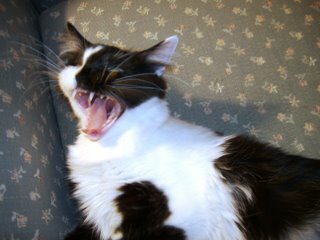 This is Chloe in the midst of a yawn but I think it looks more like she is practicing her evil Halloween face. Hee.